The Apple AirPods / EarPods are true wireless headphones - not a cable in sight. With this in mind, not only will you need a way to secure them in your ears, but you'll also want to retain their signature design and elegant contours while doing so. 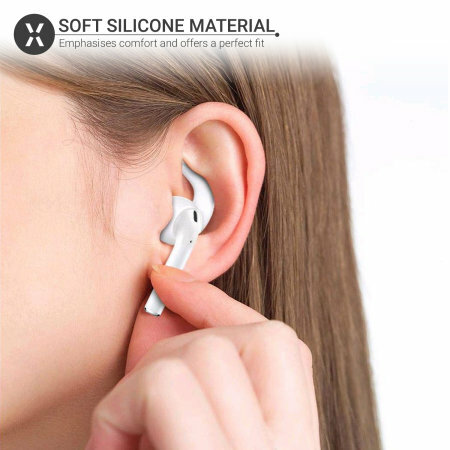 These silicone AirPod covers attach effortlessly to your earphones, providing a way to keep them safe, clean and looking great. 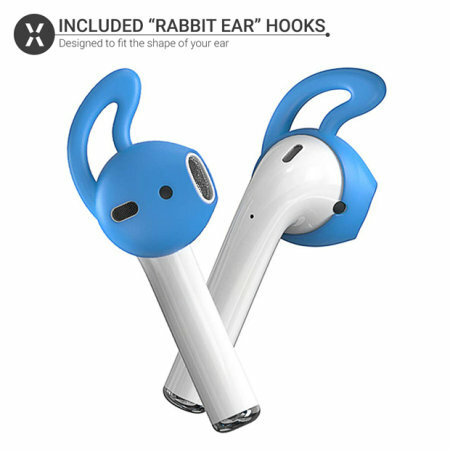 Three of the covers contained within this pack feature built-in "rabbit ear" hooks, designed to fit the shape of your ear. These hooks stabilise the AirPods / EarPods and ensure they won't fall out or move around during even rigorous exercise - whether you're on a 5k run or just doing housework, your AirPods / EarPods are safe with these covers. 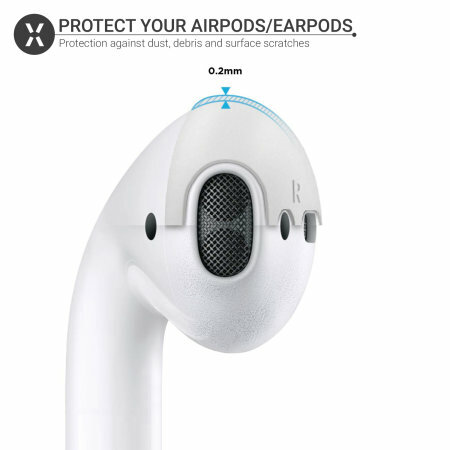 While you're out and about with your AirPods / EarPods, they're vulnerable to all kinds of surface damage - dust, debris and anything the elements can throw at them. Keep your AirPods / EarPods out of harm's way with these covers. Increase the feeling of luxury when wearing these premium earphones with these covers' soft silicone construction, which emphasises comfort and offers a perfect fit. 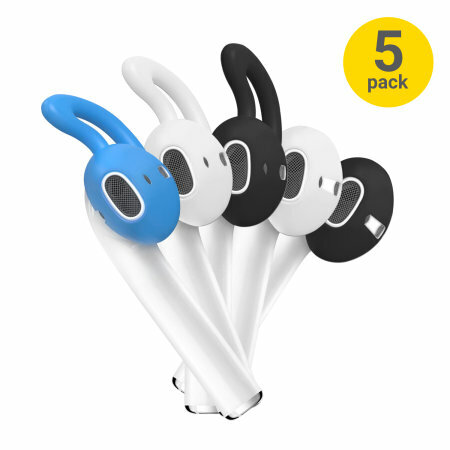 This pack consists of 5 pairs of covers for your Apple AirPods / EarPods - three pairs with "rabbit ear" hooks and two without. You also have a choice of colours - black, white and blue - so whatever your personal preference, you'll find something to complement your earphones' unique style. Please note: The covers will need to be removed to be inserted into Apple's own charging case. The additional protection will also prevent the automatic detection for power on and off.